Daryl Townsend, Service Manager at Festool, looks at the importance of having a strong service plan in place, to reduce on site disruption when power tools malfunction. On any construction site, one of the main considerations is the time it takes to complete tasks. We have to stay on schedule, to make sure that each phase of the build is completed to time so that the following stage can begin. As each stage often involves different teams, all with their own specialties, it is vital that agreed schedules are adhered to. As you can imagine, it can be incredibly frustrating if our timescales are thrown off. Not having the power tool you need reduces productivity and can affect not just your own work, but also that of the other trades around you. This can then impact on the project as a whole, as tasks might not be completed on time. I know that some tools do come with warranties, which is a great reassurance. However, the time it can take for the tool to be sent off, examined, and shipped back to us can be substantial. Can you please advise me on what to look out for when I go to purchase new tools, to make sure that, if anything happens, the impact on a job can be minimised? Thank you for getting in touch. I completely understand your concerns – it is important to ensure that when you invest in a tool you know you can rely on it to make your work easier. You need to avoid downtime and unnecessary expenses as much as possible. It is, therefore, important that, when looking to purchase a power tool, you carefully consider the level of post purchase care that you will receive. For example, is servicing offered to ensure that your tool continues to perform at its optimum? 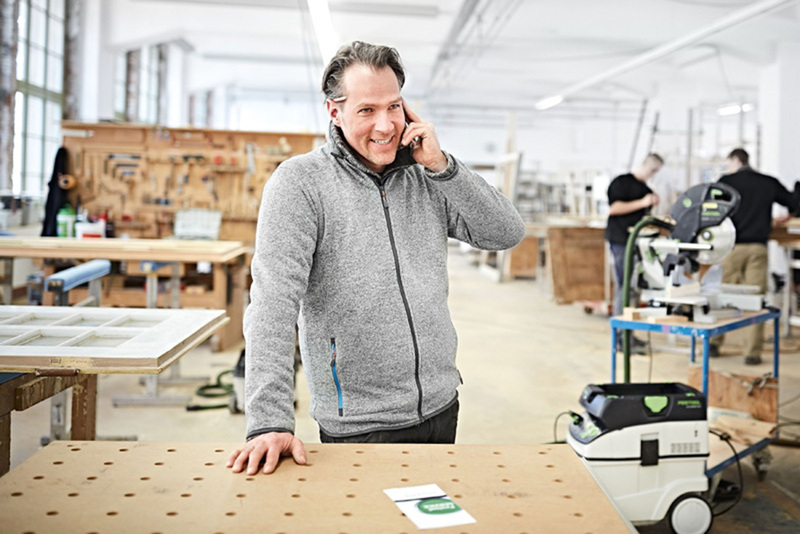 Festool recognises the importance of customer care post purchase, which is why we offer a robust system to give you peace of mind. When you register your new Festool power tool, your tool becomes covered by our warranty all-inclusive for three years. So, should your tool need a service or repair, we will arrange collection and delivery of it to our expert engineers. The team have extensive knowledge of our tools and use software which can analyse the tool and provide a clear breakdown of everything from the gears that have been used to how long it was in use for. This combination of specialists and software ensures that any issues are identified efficiently and resolved in a timely manner – all with no additional cost to you. We also appreciate that time off the tools is impractical for our customers, which is why, once your tool is in our service centre, we aim to have it repaired within 48 hours, ready to return to you – with the least disruption as possible. When you purchase a power tool, it is vital that you check the small print and make sure that you understand what the warranty includes. It is also key to consider the service that you will receive once you have purchased the product, to make sure that there is an easy to understand, continued care plan in place.